We promise you our very best, from taking your order to the final delivery. 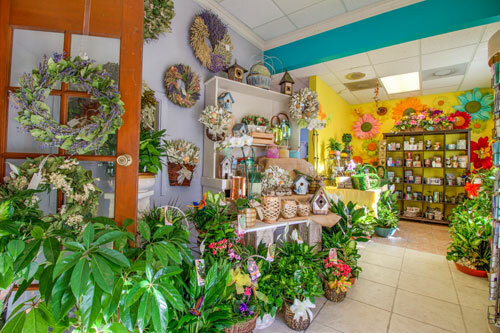 We take pride in every arrangement that leaves our shop bearing the Oviedo Florist name. Handling fresh, perishable product is a challenge, but our experienced team always rises to the occasion. We start early and stay late to meet our commitments. We go to extraordinary lengths to create original, thoughtful, and creative designs to offer. We double check, get a second opinion, and ask questions to exceed expectations. We strive to offer only the highest quality florals and stand behind this promise to you. We have a state-of-the-art Point of Sales system, affectionately called "Dove". Having an efficient Point of Sales system means we are able to intake and manage your order electronically. This includes developing an electronic record of your order that gets distributed to our staff for work, processing payment securely, maintaining a secure data base for the next time you order, electronically managing deliveries to ensure on-time deliveries, and so much more. Security of your personal data is one of our topmost concerns! Note: We never share your personal information with any other person or business except to conduct Teleflora business, including processing orders with other florists in the Teleflora network. Teleflora is committed to ensuring its data networks are secure. 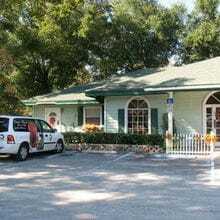 The base of our business is fantastic flowers and thoughtful arrangements, but our service really brings the Oviedo Florist experience together. We have four expert floral designers who bring over 75 years of combined experience.Laurie specializes in wedding flowers. Her weddings range from modern and fashion forward to romantic and rustic to classic with vintage charm.Vickie, our assistant manager, works in a variety of areas, including designing weeklyorders and business-to-business marketing. Her work is classic, precise, and delicate.Christy manages our line of gift baskets and arrangements. She enjoys creating arrangements that are modern, funky, and original. Marlene is our lead floral consultant and manager. She takes on wedding work, daily arrangements, and creating new designs. Our sales associates, Linda and Charlene, are knowledgeable, courteous, and dependable. They take each and every customer’s needs to heart and offer suggestions to give you the flowers you are looking for. Our drivers, Greg and Ford, add that final special touch to ensure your order gets the best possible impact upon delivery. Our flowers are second to none. We pride ourselves on the quality and freshness of our blooms, as we have specialized processing for every variety of flower. Here’s how we maintain our top-notch flowers: We receive fresh flowers daily! Every day, flowers are shipped in to us from around the country and the world. Certain flowers, such as roses, require conditioning over a few days. Our staff is extremely knowledgeable on the preferences and needs of every flower we carry, so you can rest assured that the flowers used in our arrangements are in prime condition. 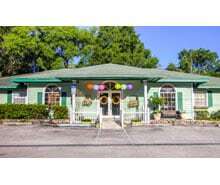 Oviedo Florist calls a 3,000 square foot, stand-alone building home. We have ample space to store inventory and refrigerate florals. We buy in bulk, which lowers costs - savings we pass to you. Additionally, we buy quality items (many which have minimum order levels) - quality we also pass to you. We have three coolers with well over 500 square feet of refrigerated space. The industry standard is 32 square feet. More refrigeration means more flowers. We strive to offer the greatest selection of fresh flowers at the lowest prices, and our building makes it all possible! We never charge a service or handling fee, unlike many others in the industry. We strive to make sure your dollars are put in to the flowers you send, as it should be! We treat sympathy flowers with great honor and dignity.We know the loss of a loved one is a very difficult time and we wish to do all we can to ease the burden. Flowers are meant to provide comfort to reduce that hardship. Our policy is to deliver within the hour preceding the time requested. Most funeral directors want flowers delivered one hour prior to a service. We deliver within one hour of that time as a rule and policywith very few exceptions. Though we are closed for general business on Sundays, we deliver flowers for Sunday services on Sunday (unless expressly told not to). Others will deliver Sunday orders on Saturday or even Friday – a practice we avoid at all costs. Within 24 hours, the small amount of water contained in the sympathy arrangement’s floral foam is dry and flowers begin to wilt. Also, heat expedites wilting. Thus, prompt delivery to funerals is an aspect we pay close attention to. When you lose a loved one, the last thing you want to have to do is fret about the flowers. Trust Oviedo Florist to make sure the arrangement honors your loved one and is there on time and as fresh as possible! Our shop will always be closed on the following holidays: Thanksgiving Day, Christmas Day, New Year’s Day, Easter, Mother’s Day, Memorial Day, Father’s Day, Independence Day and Labor Day. Additional closures and information on hours will be available on our social media. 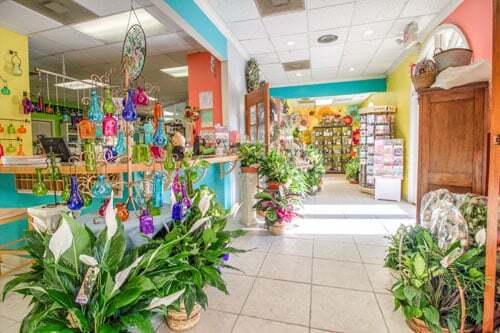 Oviedo Florist - Delightfully Oviedo from Snap & Play on Vimeo. If you have any questions or need more information, please contact us directly at (407) 365-3035. We're always here to serve you and make your flower-sending experience a pleasure.